I'll admit I'm no chef in the kitchen, but if you give me a recipe or a suggestion for how to use foods I can definitely whip up a good meal. 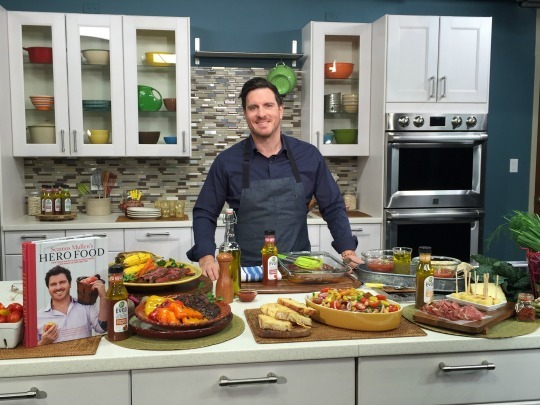 Thankfully there are chefs out there that are willing to share their talent with us like Chef Seamus Mullen. Recently Wish-Bone Extra Virgin Olive Oil even partnered up with him to help people like me get our questions answered so we can best put to use their awesome product line. This is perfect because if it were left up to me I'd be using them as salad dressings and basic meat marinades. Surely missing out on all of the other opportunities and uses to spruce up our meals. I had the opportunity to come up with four questions and have them answered by Chef Seamus Mullen. Check them out below and see what he had to say. 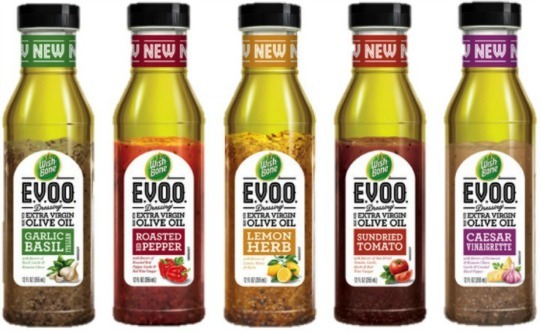 Q: Can you use Wish-Bone EVOO to marinate meat and vegetables - would you add anything to the dressing for the marinade? A: The Wish-Bone EVOO dressings are perfect for quick marinades, whether chicken, meat or veggies for the grill. To amp up the flavor, I like to add some chopped fresh herbs. Q: What other ways do you use Wish-Bone EVOO besides on a salad? A: The dressings are a great addition to a chilled soup or mixed with fresh chopped herbs and garlic, a perfect, and quick chimichurri sauce for grilled steaks and chops. Q: What makes Wish-Bone EVOO better for you then everyday dressings? A: The addition of healthy Extra Virgin Olive Oil is a great way to get important, nutritious fats into our diet. Q: Would Wish-Bone EVOO be good to use as a dip for veggies or chicken strips? A: I like to whip dressings together with some plain yogurt for a nutritious dip for crudite or grilled chicken. It's so nice to have all of these new ways I can use my remaining bottles of Wish-Bone E.V.O.O. and really enjoy them! I do use the wish bone Italian to marinate my pork chops and sometimes pour some after I cook and dip my meat into it So good! The Caesar Vinaigrette looks like something I would want to try. I want to try this product all the flavors sound so delicious. All of these flavors sound delicious and would make a great to marinate. I would like his cookbook and try some of these recipes. I mostly use oil and vinegar dressing, these flavors sound wonderful. I haven't tried these dressings yet and really can't wait to try them. The sundried tomato one sounds really good. These look delicious! I've been wanting to use more salad dressings with olive oil.